However, the maximum diffusion of Sord M5, although very marginal for the time, occurred in Japan and Czechoslovakia. 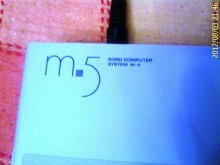 Like most of the computers used for the home market, the Sord M5 revolved around the Zilog's Z80, running at 3.58 MHz; 20KB of total RAM were installed, but only 4KB were available to the system, because they chose to use a dedicated graphics chip – the famous Texas Instruments' TMS9929 (adopted by the MSX standard ) – requiring 16KB of memory installed on the motherboard. 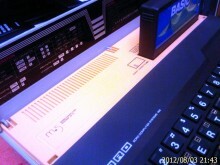 The internal user memory could be expanded up to 36KB. 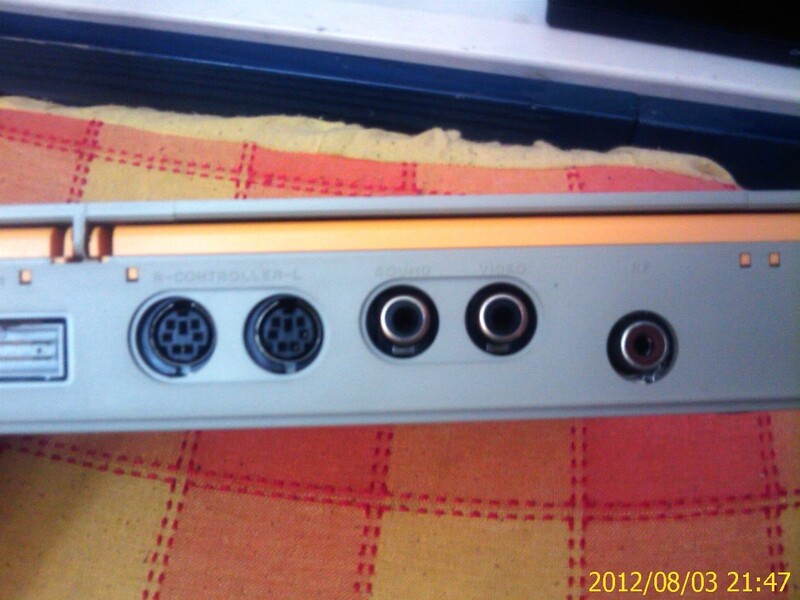 The sound section was entrusted to SN76489AN, Always from TI, and provided a mono audio with 3+1 independent channels of six octaves. 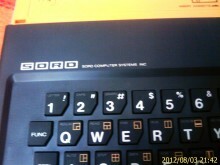 The graphics of the Sord M5 allowed 4 resolutions, Both Text and Graphics, up to 256×192 with 16 colors, and managed 32 sprites in hardware. The keyboard was membrane-type, like ZX Spectrum and Aquarius, but of much higher quality, with rubber keys showing an original and attractive shape. 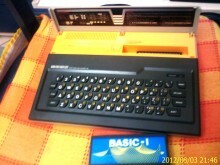 The keyboard layout was quite unique, with a minimalistic space bar located on the right, just like that of the above-mentioned Aquarius. 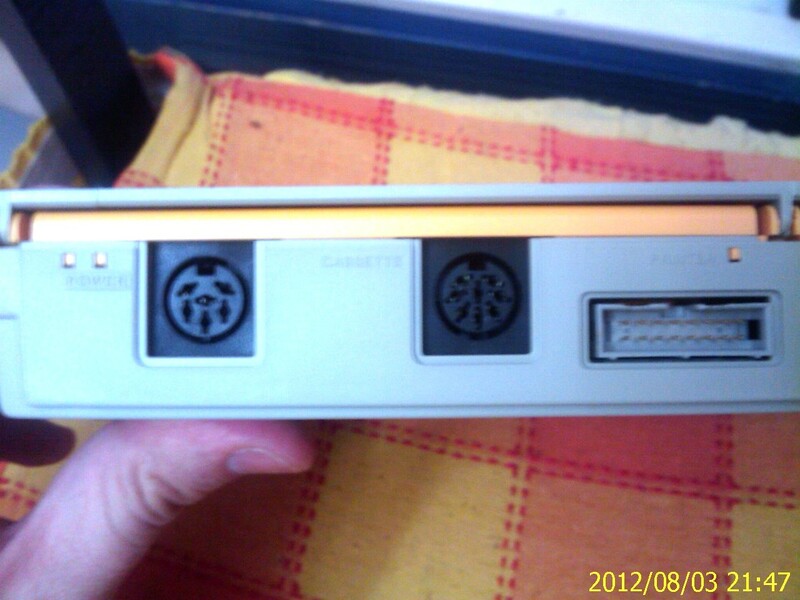 The ports on the back of the machine included both an RF output , and a composite video output; the two joystick had a standard mini-din connector, while the door for the tape recorder was DIN type; there was also a connector for Centronics printers. 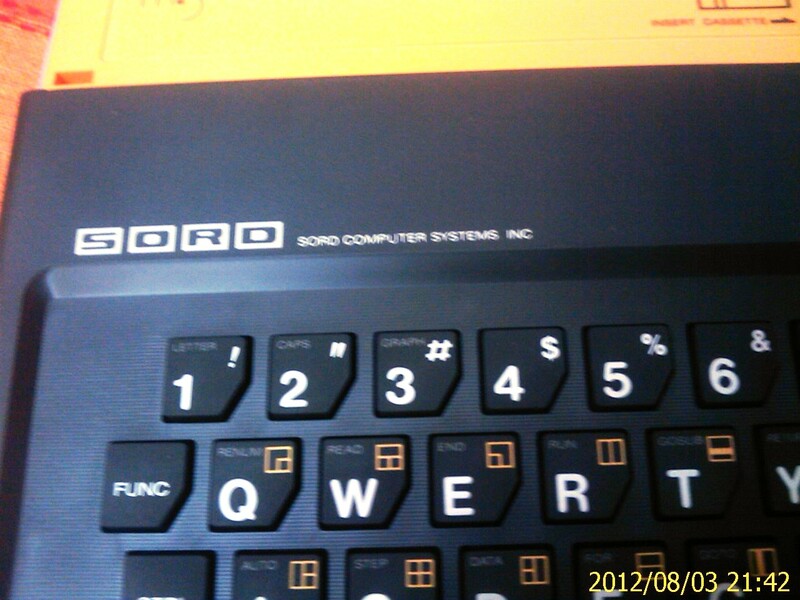 Like other machines and consoles of the time, as the Sega SC-3000, the Sord M5 was not able to operate without a cartridge fitted in the proper slot, elegantly covered by a full width door, just above the keyboard. 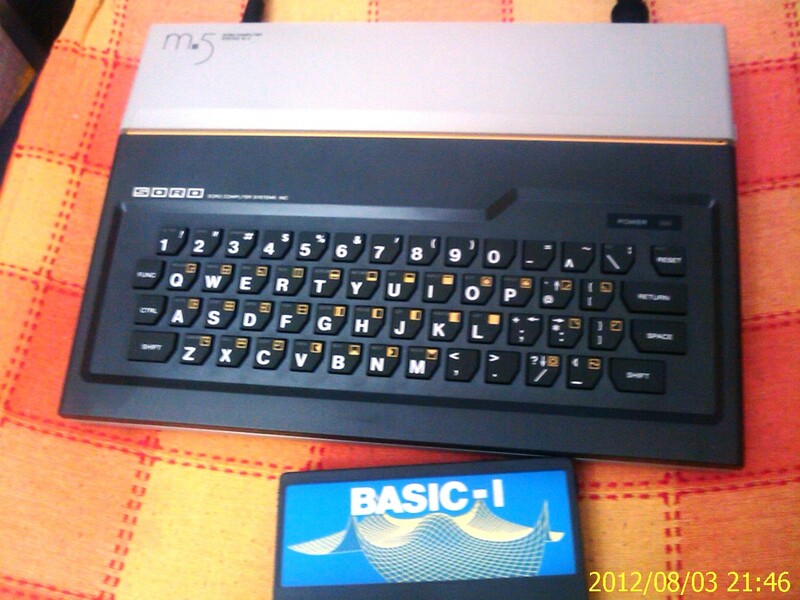 The original box was provided with Basic-I (I stands for Integer), considered for the basic beginners by the manufacturer, which streamlined many features available as standard by competitors. 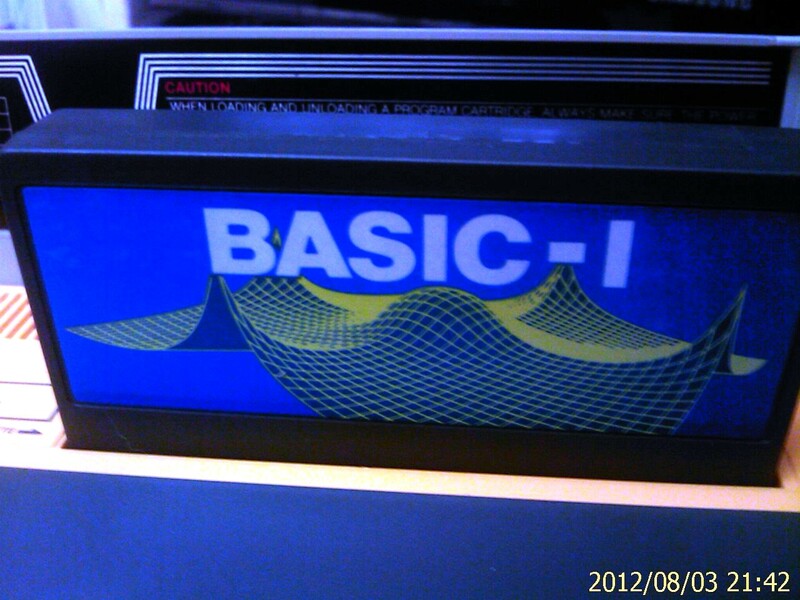 For example, Basic-I did not have functions dedicated to graphics or allowed to perform floating point calculations. If the user wanted to program a video game, was forced to purchase the graphical version of the basic, the Basic-G, while for developing computing applications slightly more complicated was forced to purchase the Basic-F. This dispersion of features and tools helped to further cool the enthusiasm of the onlookers who peered at the discovery of this personal computer, too expensive and with fewer features than its competitors. 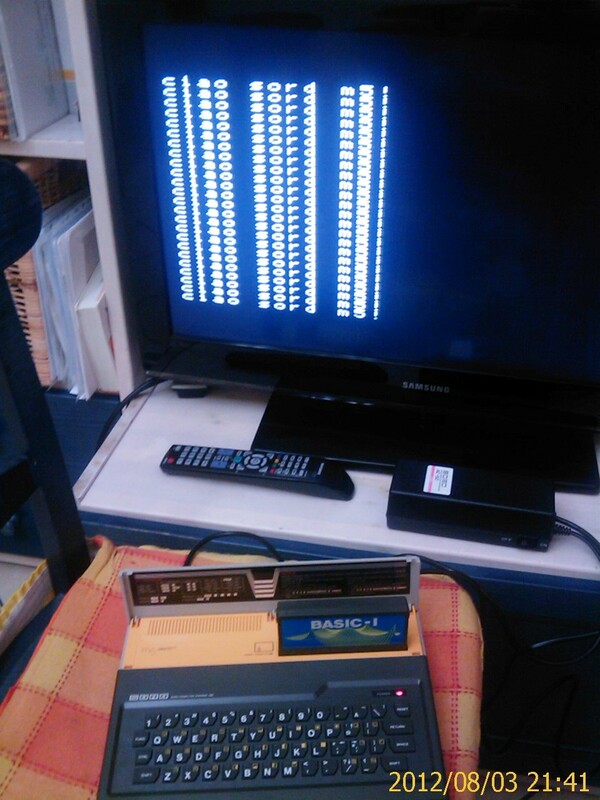 Despite all, with all sort of expansions, this machine is able to shine as a few, and to come straight in the heart of passionate collectors like me. In fact I bought one on ebay, at a not quite negligible price, by an individual who has inherited from his father the inventory of his past dealer activities. This allowed me to push hard to achieve a specimen completely “new”, sealed in original box, with all manuals and original cables. Not so long ago, I had to do a painful choice between an MTX and the Sord I wrote about. It was no easy, but I don’t give up and hope to add a wonderful Memotech to my humble collection. 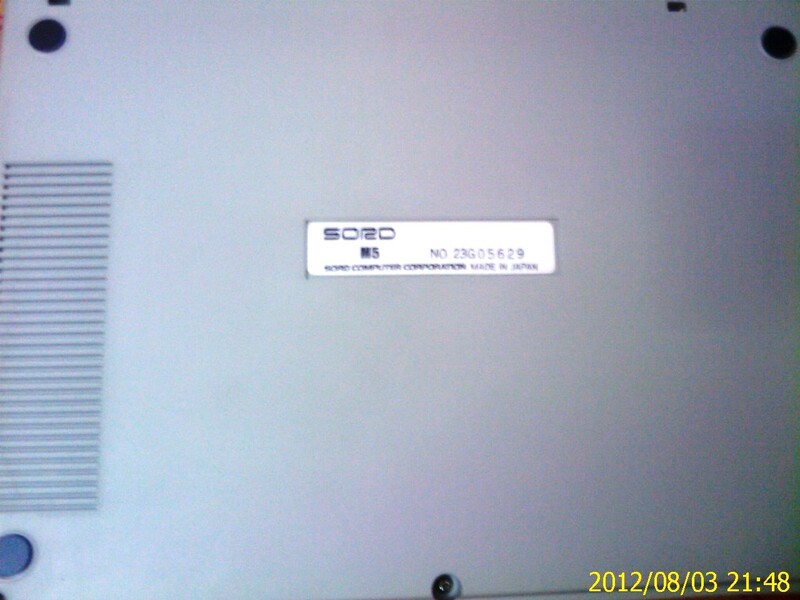 I tried to contact you using the contact page does not work but the CAPTCHA code (does not display anything). 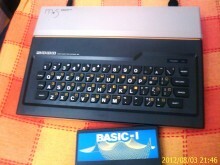 I have two MSX, un Sony Hit Bit HB-501P e un Philips VG series (I do not remember the number). May also be interested? I love this little computer. 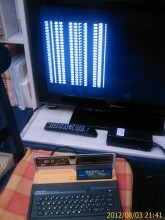 Working on a sequel to my MSX game Photon for the Sord M5. If it is the same person you will not be disappointed at all.